At the Center of Traditional Textiles in Cusco (el Centro de Textiles Tradicionales del Cusco), women from Chinchero demonstrate the art of weaving with a backstrap loom. Marinera dancers from Monsefú proudly model their embroidered outfits outside Manas Peruanas, a shop that specializes in the woven sashes and embroidered clothing used in marinera dance performances. Silk screen artist “Monky” Pedro Tolomeo Rojas Meza is renowned for his brilliantly colored posters promoting Chicha music and illustrated sayings, popular in the urban neighborhoods of Lima. Organizers and language teachers of Radio Ucamara in Nauta take a group photo outside the station. The station researches and produces many community engagement projects, including an initiative that works toward revitalizing their native language of Kukama. 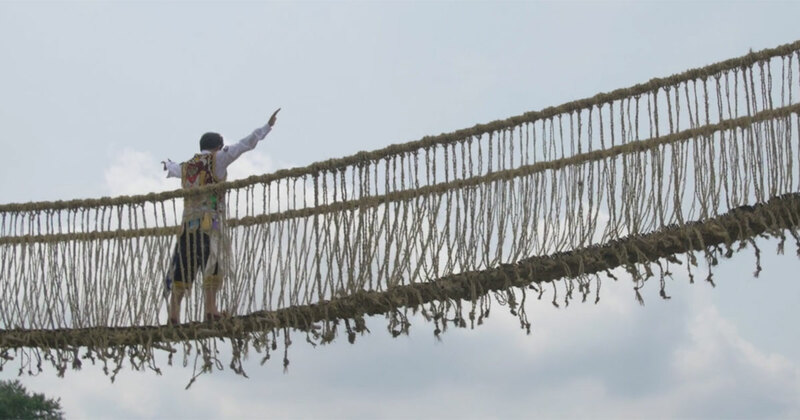 Crisscrossed with paths connecting communities across geography and history, Peru boasts a stunning vertical landscape that integrates a diversity of ecosystems and cultures. Peru is one of the world’s most biodiverse nations, containing ninety microclimates across extreme variances of altitude. The coastal, rain-forested, and mountainous environments provide abundant resources, including major exports such as fish, copper, and asparagus. Many culturally and historically significant areas are popular tourist destinations that encompass complex layered histories. The uniqueness of Peru’s diversity lies in the connectedness of its landscape in the form of rivers, roads, and pathways that existed long before the Inka Empire (fifteenth–sixteenth centuries) and Spanish colonization (sixteenth–nineteenth centuries). Across its different altitudes and climates, communities exchange commodities and practices, shaping deeply rooted but constantly changing daily customs and celebrations. The influx and movement of people between and beyond borders also influence and transform these exchanges. 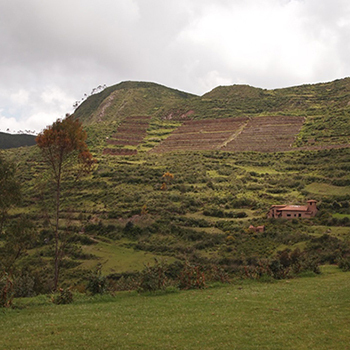 The Peru program featured projects, organizations, and groups whose cultural expressions highlight these social, cultural, and economic exchanges. It demonstrated how the networks of celebration and community, crops and markets, textile and craft production, foodways and technology, and music and dance forge the diverse cultural heritage of the country. Festival visitors were able to experience these unique connections through cooking and craft demonstrations, music and dance performances, moderated discussions, ritual and celebratory processions, and other participatory activities. In addition, there was a robust involvement with Peruvian American and diaspora communities. The public had the opportunity to learn, to eat, to dance, to shop, to witness these vibrantly connected cultures and create their own connections with Peruvian artists and specialists on the National Mall and beyond. The Perú: Pachamama program was co-sponsored by the Republic of Peru Ministry of Foreign Trade and Tourism (MINCETUR) and presented in partnership with the National Park Service.